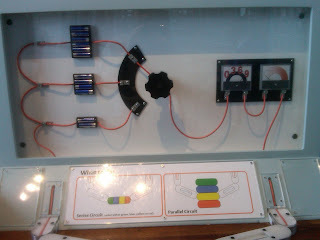 In the "Discovery Center" there was a fun little electricity demo that let you construct simple parallel and series circuits with some magnetic, conducting building blocks. There was a light bulb block, a buzzer block, and an LED block (that glowed green when the current flowed in one direction and glowed red when the current flow in the other). Neat exhibit. 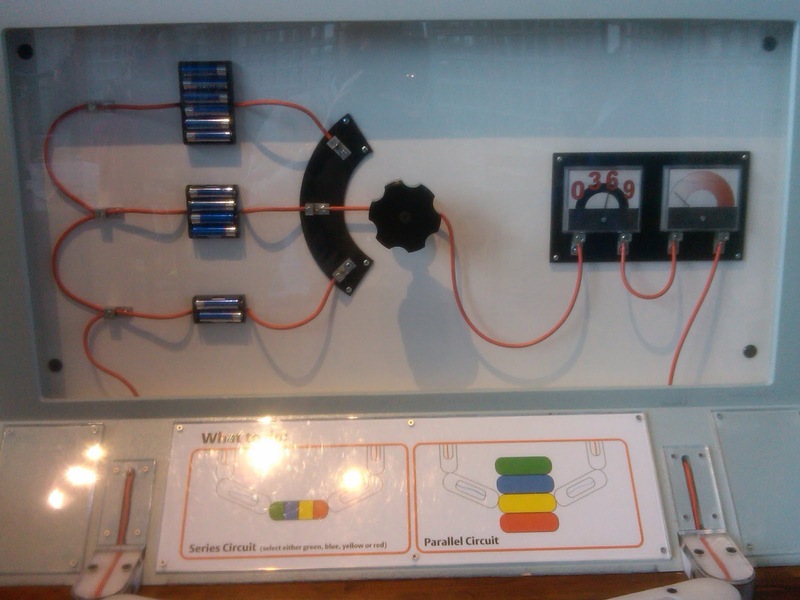 The power supply was mounted above the desk with the circuit blocks, and it let you choose to power your circuit with two, four, or six AA batteries. A large knob in the center of the panel selected the power source, and two analog meters displayed the voltage and current. 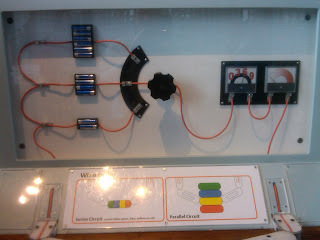 Of course, the orange wires in the display case are just representational, and the batteries shown aren't really connected to anything (there is a wall-powered power supply behind the panel), but this error in the connection of the voltmeter should be embarrassing. This exhibit would be a good chance to discuss "across" variables and "though" variables to more advanced students, but the "artist" who designed the panel blew it. UPDATE: See the responses in the comments below. I’m the “artist” who designed this display, although I am not an artist at all. I am a licensed electrician, a nuclear engineer, a certified physics teacher, and I have a degree in physics and a master’s degree in the philosophy of science (and, just for fun, degrees in geology and science education). The point is that I am well aware of the fact you are exactly correct. The volt meter is shown wired incorrectly. 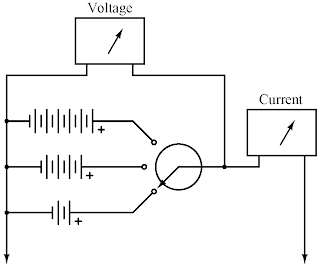 (Of course, with the actual circuit, which I also built, the volt meter and ammeter are wired correctly or, as was pointed out, the circuit wouldn’t work!) This is a perfect example of museum design as it conflicts with reality. The space available for the cabinet (which I also built) was limited, and a great deal of it is occupied by the custom-made rotary switch (which I also built), leaving little option as to where the meters could be placed. In the original incarnation, the voltmeter was up and to the left with the correct wiring, but that arrangement left a visual clutter which did little to deliver the message which was not “this is the way the meters are actually wired” but rather “circuits have measuring devices attached”. Remember, this display is for young learners and was intended to demonstrate “cause and effect” rather that present a course in “parallel vs. series”. 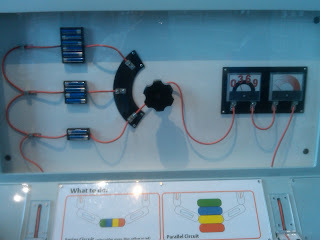 Ideas must be presented in stages, and while the display is unambiguously incorrect, the idea that “circuits have measuring devices that change with different batteries” is well demonstrated. After all, I spent years as a high school physics teacher telling students about Newton’s Law of Universal Gravitation which we all know – of course – is factually incorrect. And anyway, if one of these young learners actually notices that the display is incorrect, then good for her! There is simply no excuse for presenting what is obviously misinformation. Someone with your brag-list of degrees should surely understand that. Oops! Minor issue: I just checked my website, and I realized that the post for the new “Electricity!” exhibit (the one discussed here) is not up. The post seen on my website is for the old “Electricity!” exhibit. I will try to fix the problem as soon as I can. Also, the comment I posted contains only my own thoughts on the issue and do not necessarily reflect those of the staff of the MoS. Since I no longer work there (I miss it very much! ), I thought I should be clear about this. Sorry to say this, but your excuse does not hold water. Most likely, some set of people will look at this display and become confused, and no one will ever hear about it. Your job in designing these exhibits is to educate by telling the truth. 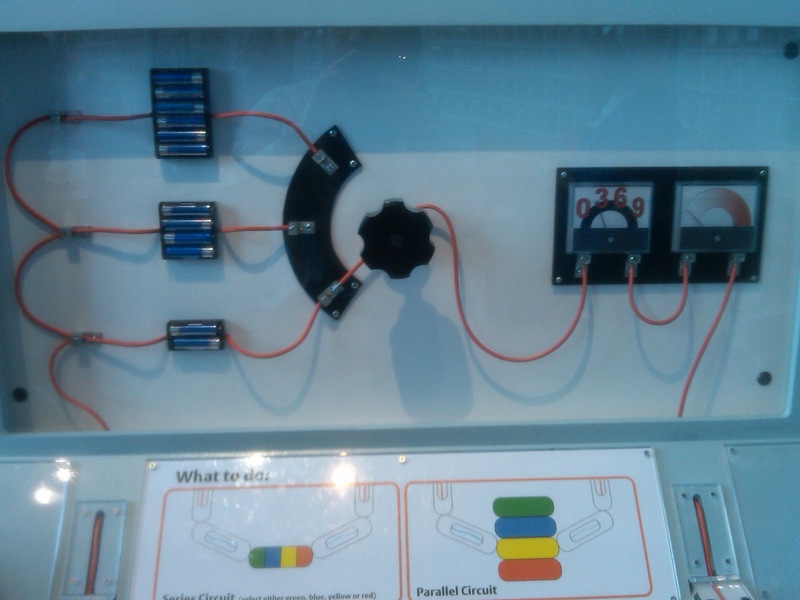 If you don't want students looking at the details of the wiring, then omit the wiring "art", and the display will be truthful. 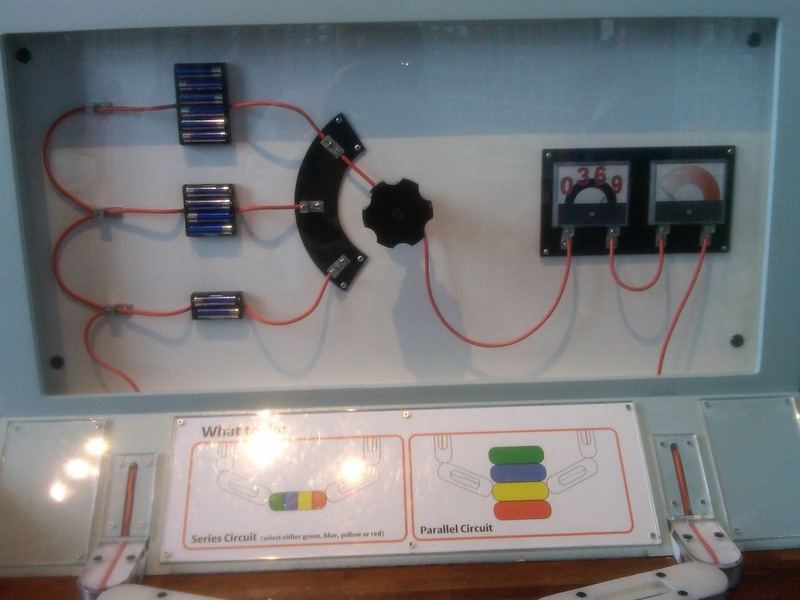 If you do want them looking at the wiring, then don't make the "art" wiring gratuitously incorrect. Please just fix the display. There's plenty of room in the box to do it right. You say, "This is a perfect example of museum design as it conflicts with reality." Can you provide other examples at the Museum of Science where truth and accuracy are sacrificed to reduce "visual clutter"? Invoking Newton's Law of Gravity is disingenuous. Newton's Law of Gravity is a simple and accurate approximation; relativity is only needed for extremely massive objects. 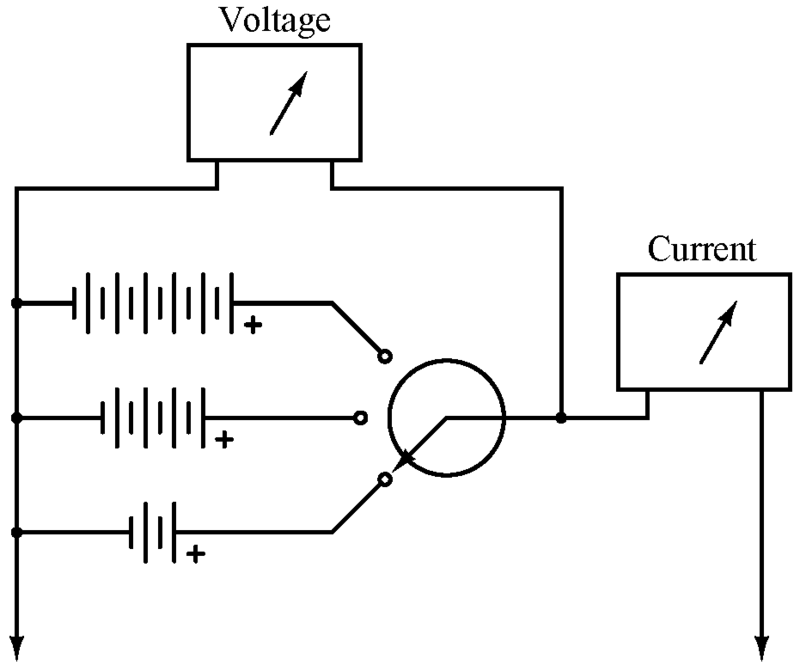 Wiring the voltmeter in series is NEVER correct. I disagree with your approach, it should be wired properly or don't show wires at all - just abstract the voltage and current displays. Young minds will latch onto the patterns of parallel and serial wiring of meters, doing it wrong will give them the wrong patterns which could be very confusing later in life, even dangerous. It's very different from presenting an approximation, I don't think anyone is expecting to see the calibration certificates for the meters! I was pulled away to Maine just as I was getting involved with a NH museum to make contact with a MOS tech that had something to do with some exhibits donated to us. I hope he is still working there, but I think not as he would have noticed. informative post! I really like and appreciate your work, thank you for sharing such a useful facts and information about work assignment strategies, keep updating the blog, hear i prefer some more information about jobs for your career hr jobs in hyderabad .